“Pura Vida” — not just a saying, but truly a way of life in Costa Rica (Pure Life!). A reminder to stop, breathe and take in the spectacular, natural surroundings in one of the most biologically-rich places in the world. Reconnect, refill your tank and join us on this exclusive adventure to (1) one of only (5) five “Blue Zones” on the planet (places where people live longer and healthier than anywhere else on earth). This adventure will be limited to only 11 participants as we’ll be taking over a private “resort within a resort” area of single-occupancy villas. • Private, guided nature hikes — The Nicoya Peninsula is truly one of the most biologically diverse and authentic parts of Costa Rica. You’ll have an opportunity to spot everything from capuchin and howler monkeys, scarlet macaws, iguanas, the elusive jaguar and a variety of other abundant wildlife both in and around the resort property. • Private boat charter — fishing and hiking on nearby Curu Nature Preserve. An non-refundable deposit of 1/2 the total tour cost ($1750) is required to hold your spot. Final payment is due 60 days priorto our trip departure. All payments are non-refundable and MOJO Active Adventures must strictly adhere to this policy to offset costs incurred prior to the commencement of the tour. By registering for a MOJO Active Adventures tour, you are agreeing to be bound by our Terms and Conditions. A copy will be emailed to you, together with your booking details, upon registration. A personal Mojo Active Adventures guide/representative with you every step of the way. Airfare: (Very Important: Please contact us prior to booking your flight arrangements as we will have specific arrival and departure information to coordinate with the internal air transfers to/from the Nicoya Peninsula. Note: We strongly recommend purchasing supplemental travel insurance to cover you in the event of an airline delay or cancellation. Costs for medical visits, hospitalization or evacuation (we require all travelers carry medical coverage — please consult with your individual provider well ahead of our trip departure date to explore supplemental emergency travel policy options if needed). A valid passport (good through at least 6 months of your travel dates) is required to enter Costa Rica. (Typically no visa is required for US/Canadian/EU citizens for stays of less than 30 days). By nature, adventure travel carries inherent risk. Traveling through a dense, tropical rainforest (home to a variety of insect and animal species) carries additional risk. 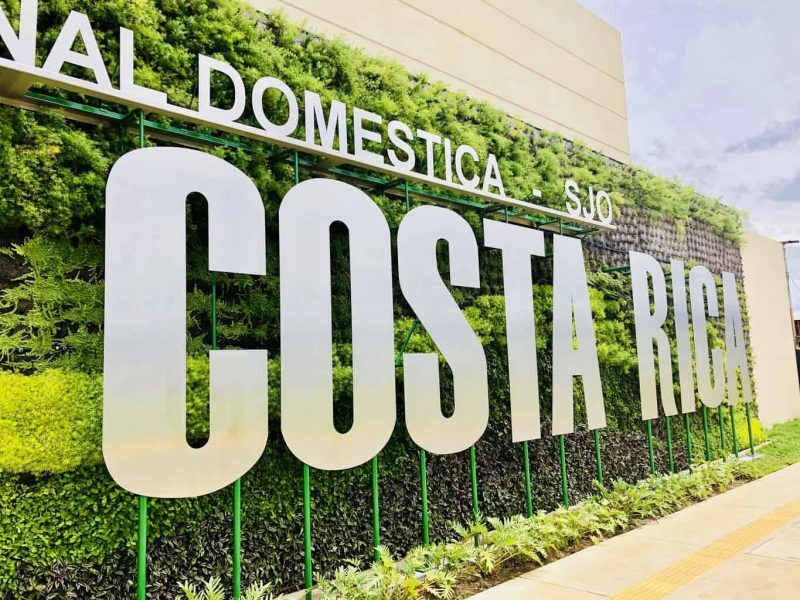 Therefore, we encourage you to consult with your doctor and the https://travel.state.gov/content/passports/en/country/costa-rica.html website prior to embarking on this trip to determine if any additional medical precautions are required. (Note: Any participants with pre-existing medical conditions or those over the age of 60 are generally required to obtain clearance from a medical professional prior to participating on this or any Mojo Active Adventure). After arriving at the Juan Santamaria International airport (SJO) in San Jose you’ll proceed through immigration (see passport requirements), and be greeted outside baggage claim by a Mojo Active Adventures representative. 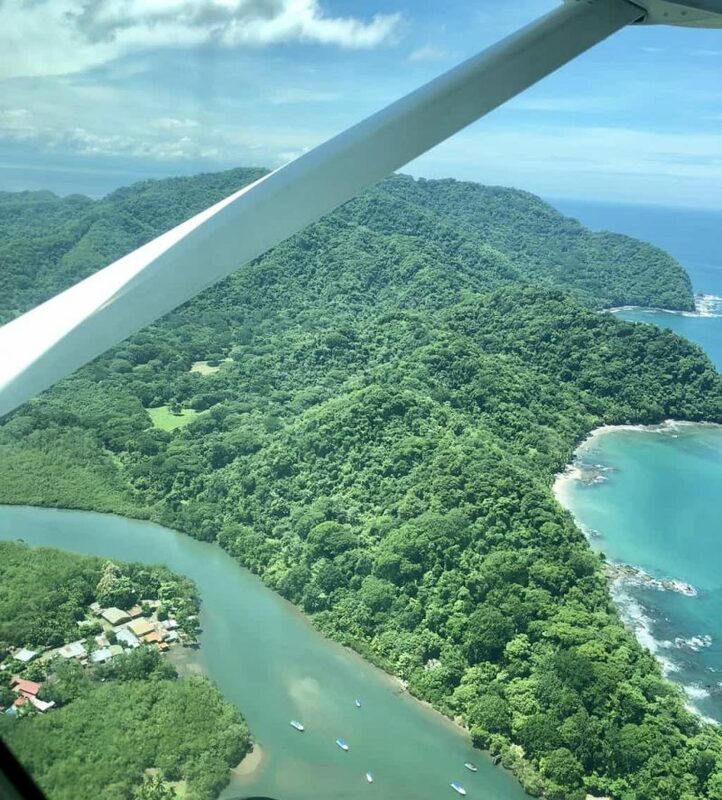 We’ll transfer to the nearby domestic airport terminal to board a short 30 minute private air charter to the Nicoya Peninsula (Tambor Regional Airport). A private shuttle will meet us there and transfer us a mere 10 minutes to our “basecamp” for the next 4 nights. Connect with your fellow travelers over a beach bonfire welcome reception and dinner later that evening. Afterwards, power down and recharge in the comfort of your own private villa with views of the Pacific ocean and surrounding Costa Rican jungle. Enjoy a wholesome breakfast, soothe and stretch muscles after traveling during an optional AM beachfront yoga session then head out for a guided nature hike around the Tango Mar property and coastline. Learn the history of the surrounding area and keep your eyes open for a wide variety of wildlife including capuchin and howler monkeys, scarlet macaws, iguanas, the elusive jaguar as well a host of tropical fauna. We’ll split the group in two this afternoon. Half will enjoy a guided horseback ride on the beach today (optional). The other half will take part on Saturday afternoon. Later that evening, a chef will treat us to a private “Mojito Making” demonstration outside our private villas before heading to dinner. After breakfast, we’ll set out for a full day exploring the coastline and nearby waters of the Pacific via private boat charter. Try your hand at catching one of the local delicacies (mahi-mahi…), snorkel and take a guided hike through Curu Nature Preserve — home to over 200 bird species, plus monkeys, white-tail deer, anteaters, iguanas, tropical insects and more — a true natural paradise. Later that evening, we’ll enjoy both our bounties from the sea as well as a farm-to-table dinner during a hands-on Caesar Salad making demonstration (a signature Tango Mar dish). Power up over breakfast then we’ll take a short transfer through the jungle for a memorable private zip line adventure. 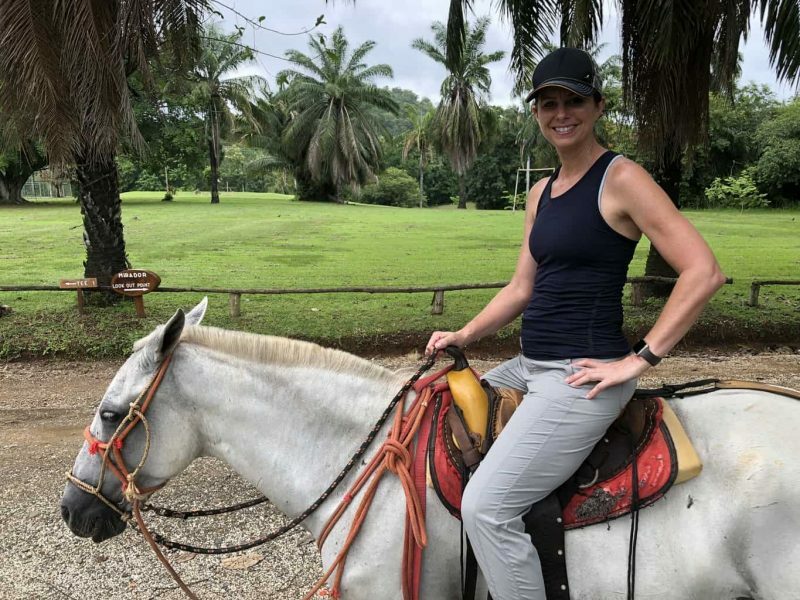 Afterwards, the second group will have the opportunity to horseback ride throughout the property and beach area and/or take advantage of some down time by the pool or at the resort spa. We’ll toast to new friendships and epic adventures over our farewell dinner that evening. After breakfast, we’ll transfer back to the Tambor airport for our internal charter air connection to San Jose International Airport. Group Departures from there throughout the afternoon. Accommodations: If you are interested in extending your tour and need assistance with trip planning, please contact us. We are happy to put together a customized recommendation for you. *Note: Itinerary may be modified as necessary. We also reserve the right to substitute comparable activities due to weather or unforeseen circumstances. If you have any questions or concerns about the activities listed, please reach out. We want our guests to arrive feeling prepared and leave feeling accomplished! Note: No prior experience is required with any of the activities we offer and all applicable equipment and safety instruction will be provided. However, these are physically-active tours, so please contact us if you have any concerns or physical limitations so that we may suggest suitable alternatives. Additionally, all activities are optional — you always have the ability to skip something if it does not resonate with you – this is your experience! Our “basecamp” for this adventure is a memorable boutique resort. Tango Mar is located on a 150-acre private beachfront reserve in the Nicoya Peninsula on the Pacific coast of Costa Rica. It offers the intimate exclusivity of a small, deluxe beach resort on a vast site charmed by a unique atmosphere, its own microclimate and favorable year round conditions,. Manicured grounds and fine, unique accommodations blend with exuberant jungle vegetation and exotic birds and animals to create the perfect balance of nature and refinement. 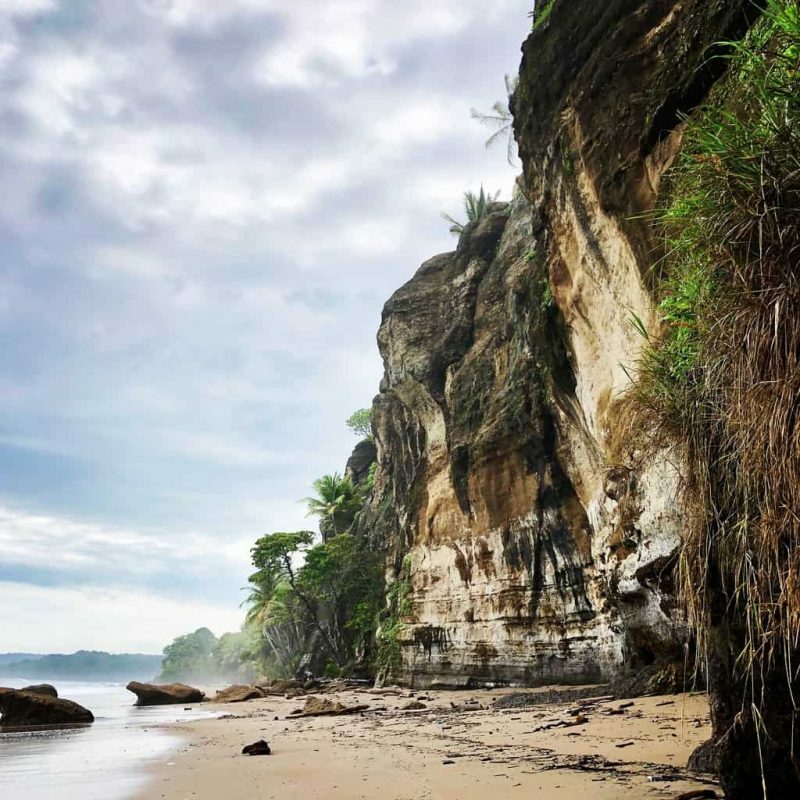 Take a private stroll on some of the most beautiful sand in Costa Rica or follow the trail to the bluff and take in the gorgeous Pacific views. On this adventure, we will be owning a true “resort within a resort” piece of the property. 12 private, single-occupancy villas. *Note: Luggage needs to be 30 lbs. or under for this adventure to comply with internal air (domestic charter flight) regulations to/from San Jose and Tambor airport. For a downloadable version of our packing suggestions, please click here. Have more questions? Please refer to our Frequently Asked Questions.